A breadcrumb trail on a page indicates the page’s position in the site hierarchy. A user can navigate all the way up in the site hierarchy, one level at a time, by starting from the last breadcrumb in the breadcrumb list. Google uses the BreadcrumbList Schema-Type to show it in search results. You can read more about that on Googles Reference Page. In this post I’ll show you how to generate a BreadcrumbList with SNIP – The Rich Snippets and Structured Data Plugin for WordPress. 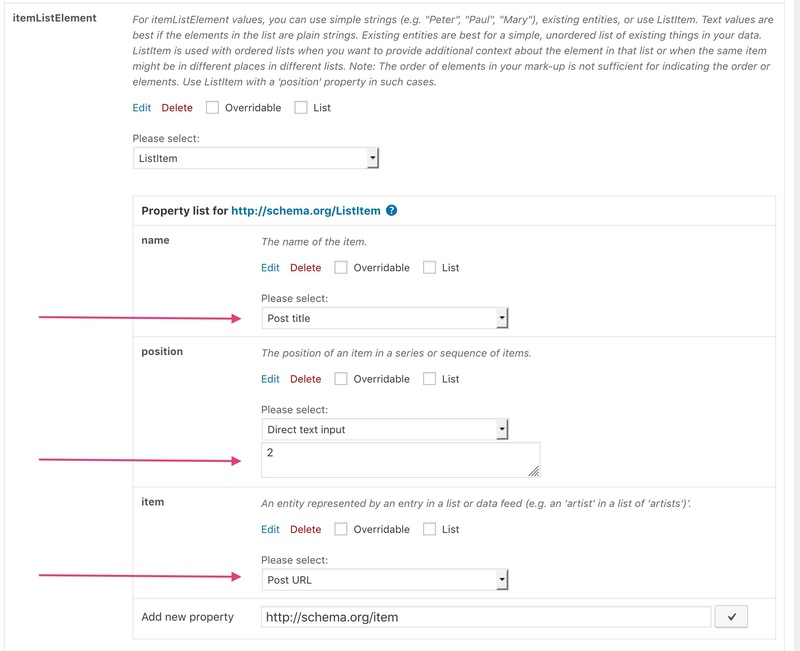 For this, go to the “Global Snippets” main menu in your WordPress dashboard and create a new Global Snippet. 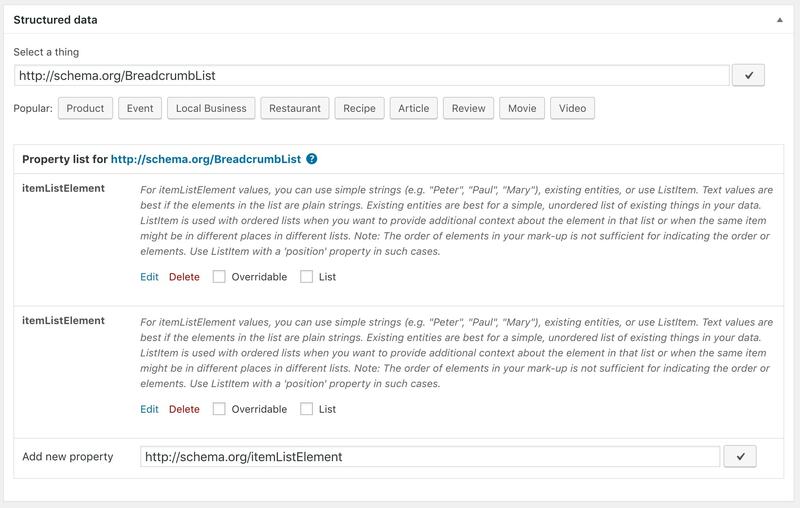 For the main schema type, add “BreadcrumbList” by searching for it. Search for the “BreadcrumbList” schema type. Now search for the “itemListElement” property and add it to the list of properties. You can add multiple itemListElement properties. Depending on how deep your Breadcrumb structure should be. search for “ListItem” in the dropdown. That will add the sub-schema-type. 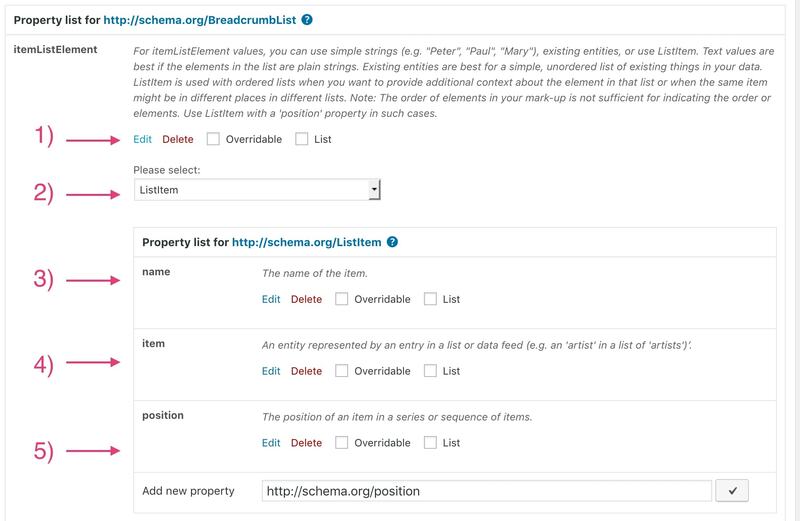 “name” is the text for the single breadcrumb list-item. “item” is a link to the item. “position” is a number that shows where the current ListItem belongs to in the current breadcrumb trail. the “item” should be the URL to the author. That’s it pretty much. The only thing you need to do now is to enter a ruleset so that your new shiny BreadcrumbList-Snippet only shows up on your blogposts. Don’t forget to save your snippet! 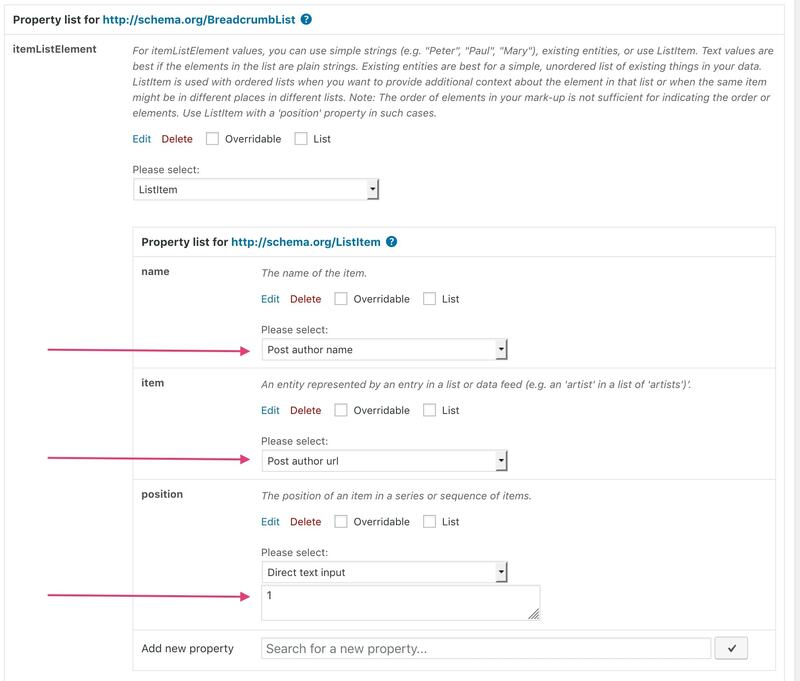 Now go over to Googles Structured Data Test Tool and check one of your blog posts. 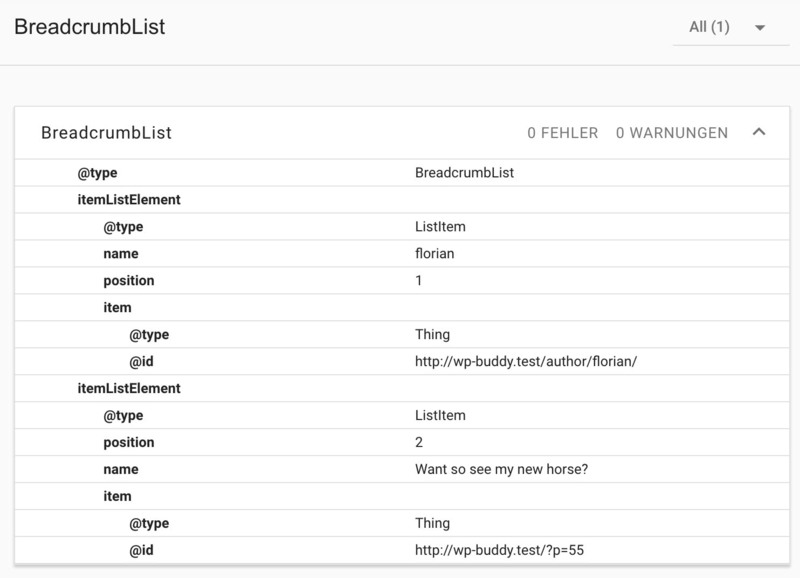 The tool should now recognize the BreadcrumbList schema, too!